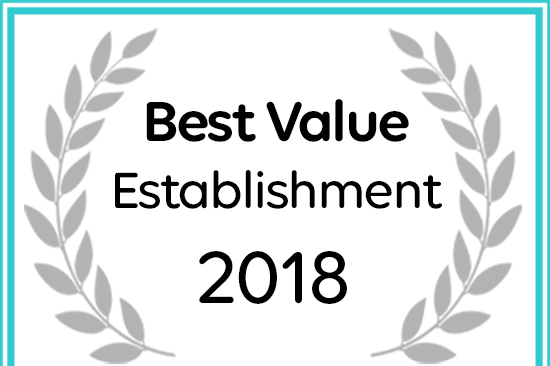 Afristay has named The Monkey Manor as a Best Value Establishment. Monkey Town Manor House overlooks the magnificent well established gardens of the property stretching over five hectares. The house, with its elegant four rooms, was built in 1948 according to the Old Cape Dutch tradition and has a typical feel of yesteryear. In the lush gardens surrounded by beautiful trees you will find peace and tranquillity. The gardens are lovingly tended to by the owner of Monkey Town, Roseline Grobler. Imagine arising each day and looking out over a leafy park at the monkeys playing in the trees, with not a care in the world. Enjoy the cheerful chatter of the monkeys all around you, as they go about their morning business, while you drink your coffee. We offer four charming bedrooms, each with its own bathroom. DStv, a bar fridge, air-conditioning and a safe are also provided for your comfort. Enjoy a sundowner on the verandah and witness the unique change in colours of the majestic Helderberg Mountain. Monkey Town Manor House is ideally located just outside Somerset West, a town encircled by exquisite mountains and hills covered by vineyards, with the ocean and sandy beaches just a stone’s throw away, and well-known for its beautiful sunset. Oak trees and thatched cottages, historical buildings and national monuments combined with the presence of a bustling, close-knit community give the town a pleasant comforting aura. The most spacious of all the rooms, this room is pure luxury! With its private sitting room, beautiful views, queen size bed and en-suite bathroom it is pure indulgence. A beautiful spacious warm room with a lovely queen size bed decorated in typical African colours, overlooking the impressive gardens. An open plan bathroom (shower only) awaits you for total relaxation. An inviting room reminding you of yesteryear with its antique brass bed and wonderful calm atmosphere. A beautiful private bathroom with a Victorian bath awaits you. A wonderful spacious room with its king size bed, decorated with modern finishes to ensure an unforgettable visit. A modern private bathroom with a walk-in shower accompanies this room. PET LOVERS WILL BE DELIGHTED TO GET ACQUAINTED WITH THE FRIENDLY RESIDENT CATS AND A COUPLE OF VOCAL PEACOCKS. Accommodation as well as access to Monkey Town Primate Centre & Reptile Garden to view the animals. The rates provided exclude breakfast. Breakfast is available on request at R75 per person. **Please indicate if you wish to have breakfast when making the booking. **Please indicate the time you wish to have breakfast. * 0-7 days before date of booking 100% of deposit will be forfeit. * 8-14 days before date of booking 75% of deposit will be forfeit. * 15-21 days before date of booking 50% of deposit will be forfeit. * 21+ days before date of booking 30% of deposit will be forfeit.